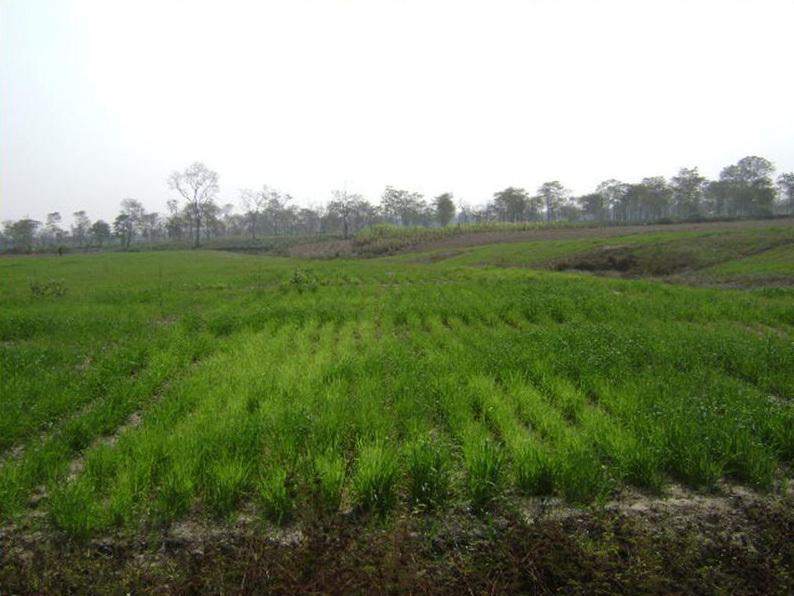 The estate is located next to Numaligarh Refinery Ltd. in Golaghat District, on the southern bank of the river Brahmaputra. 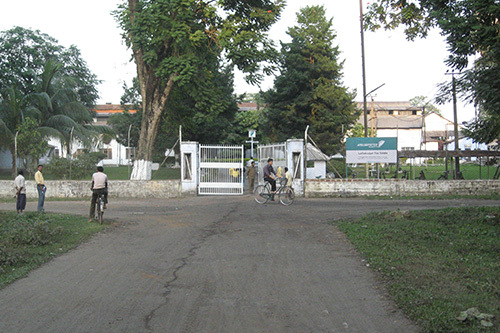 The district headquarters and the nearest railway station, Golaghat is situated 23 kilometres away. The airport at Jorhat is situated 85 km away from the estate. Lattakoojan is well connected by road, rail & air.This estate is known for producing good quality Orthodox and CTC tea. 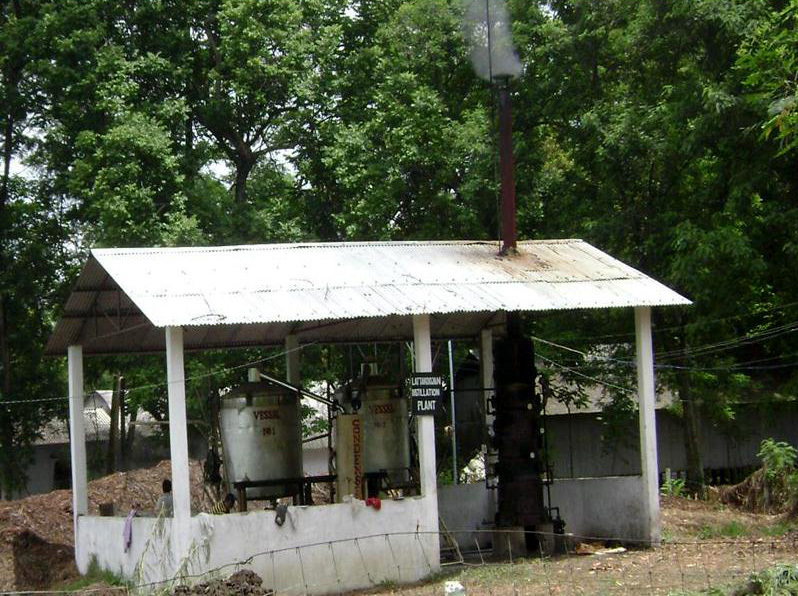 In 2003 & 2008, it was awarded for producing the best Orthodox tea for Amalgamated Plantations Pvt. Ltd. The Lattakoojan Tea Estate originally belonged to Borellie Tea Comapany which was subsequently taken over by Anglo American, Direct Trading Co. Ltd. during 1876 as per the land records available. Thereafter, James Finlay took over the estate and in 1976 and in 1983 it became came under Tata Tea Limited and remained so till April 2008. 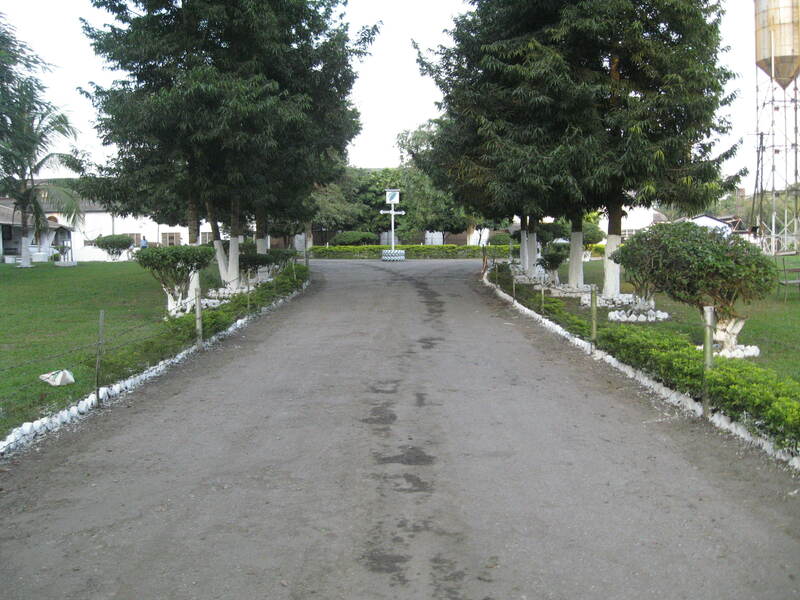 From May 2008, the estate came under the ownership of Amalgamated Plantations Pvt. Ltd. The estate is divided into two divisions (Lattakoojan & Dygroon) and presently has a total grant area of 1156.23 hectares. Out of this, 776.50 hectares is under tea cultivation. 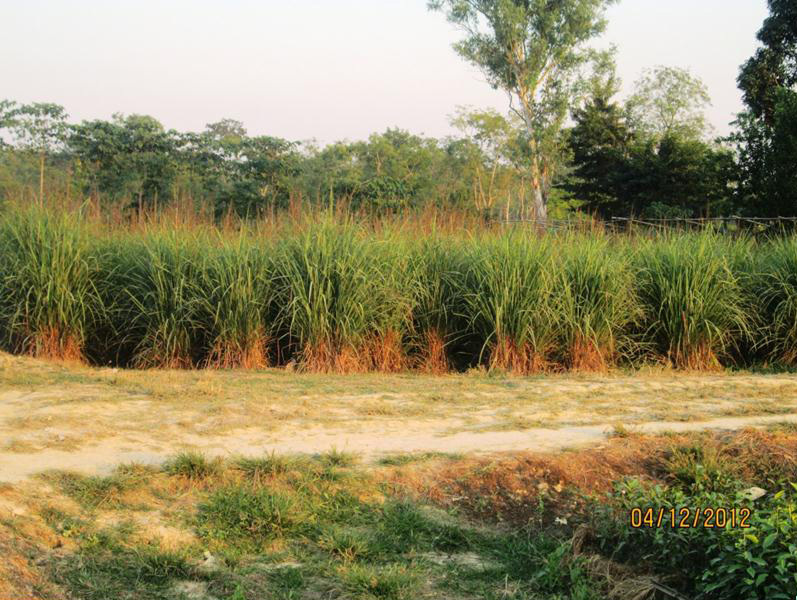 The average production capacity of the estate is 14.00 lakh kilograms of Orthodox & CTC tea. The peak season in this estate begins in July and ends in October. Fresh green tea leaves from the garden are plucked and processed in the factory which can produce up to 6 lakh kilograms of Orthodox & 8 lakh kilograms of CTC tea. The produce is manually sorted and individually graded. The tea produced in the estate is safely packed in bulks. Good liquor tea can be made from the Orthodox variety produced in the Lattakoojan factory. The estate has 1282 daily wage earners, 76 monthly wage earners and 52 staff members. The total residential population of the estate is 5601. The estate has 806 labour quarters to accommodate the workforce. During the peak season, the plantation employs 2500 workers. The estate has 806 labour quarters each of which comes with its own latrine. Water supply in the estate is provided through 65 taps and 131 tube wells. There is a centrally located 40 bedded hospital and 2 division dispensaries to provide medical treatment to the workers. The estate also carries out, preventive immunisation for workers as per government protocols. The estate has 2 adult education centres to impart literacy to its residing population. With a vision to increase self sufficiency among the young girls, the estate runs 2 art & craft centres. The estate’s welfare provisions for its workforce also include 2 labour clubs, a staff club and a canteen where they can engage in recreational activities. Institute of Research and Documentation of Indigenous Studies (IRDIS), an NGO, works with the estate. Amalgamated Plantations Pvt. Ltd. has provided the estate with 908 residential quarters to accommodate its residing population. The estate takes special interest in looking after the welfare of its women residents. 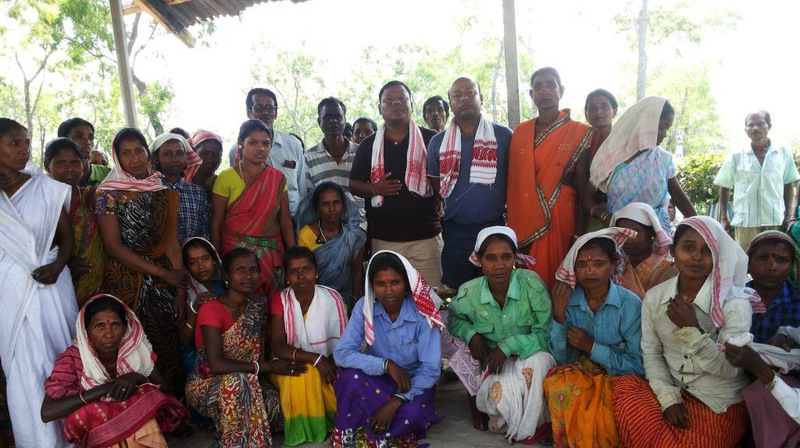 Mohila mandals in the estate are in charge of working of their upliftment and protection of their rights. 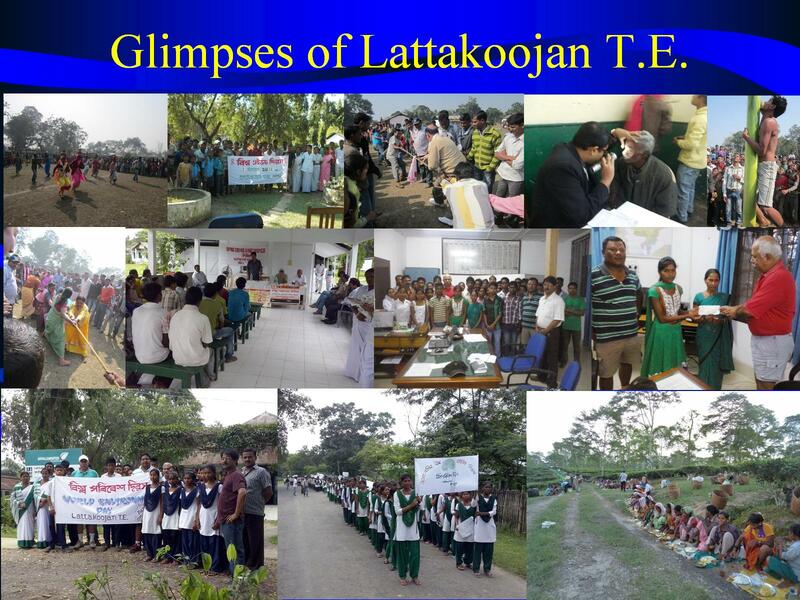 Lattakoojan Tea Estate has endeavoured to keep its commitments towards protecting the environment and contributing in its own way to sustain nature. To conserve electricity the estate makes use of solar panel lights. The soil in the estate undergoes quality check periodically to ensure it’s in the right condition. Awarded by Tata Tea for Best Orthodox Quality Estate in 2002/03. Awarded by Amalgamated Plantations Pvt. Ltd. for most improved estate performance in 2012/13. Ponkul Baruah, son of retired JB Puna Baruah of Lattakoojan Division, achieved 68 % in his B.Com Final from Dibrugarh University and is now working successfully as an Assistant Manager in Rungamatee Tea Estate owned by Amalgamated Plantations Pvt. Ltd.
Santanu Goswami son of former 2nd clerk, Mr. Upendra Nath Goswami after completing his post graduation from Dibrugarh University, is now working as a Branch Manager with LIC in Majuli, district Jorhat.